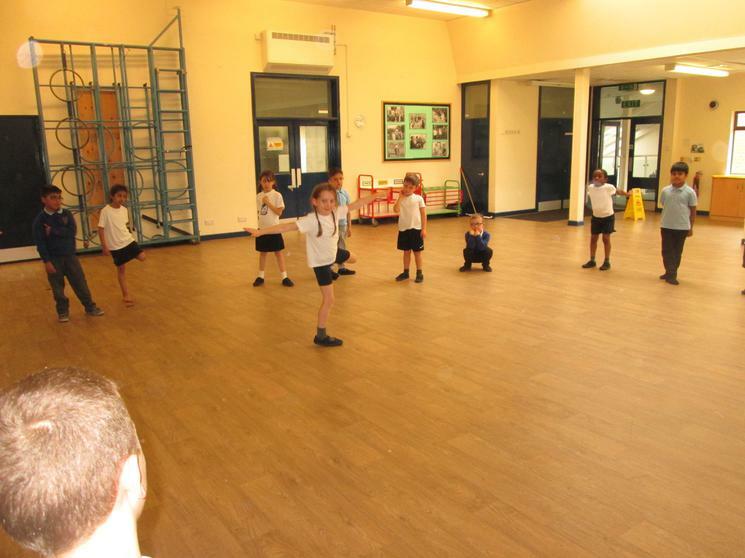 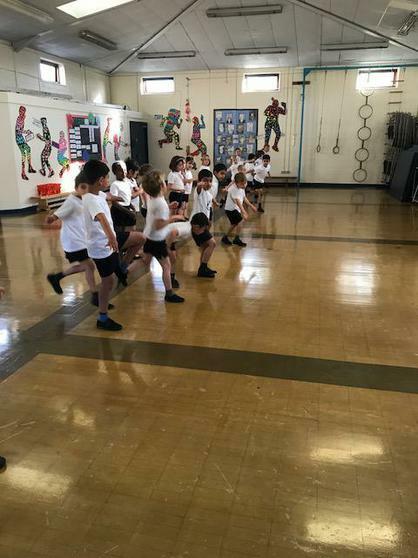 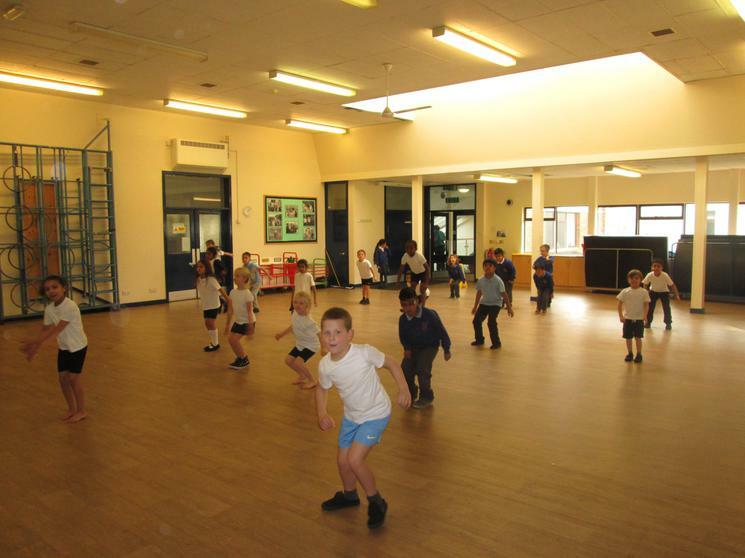 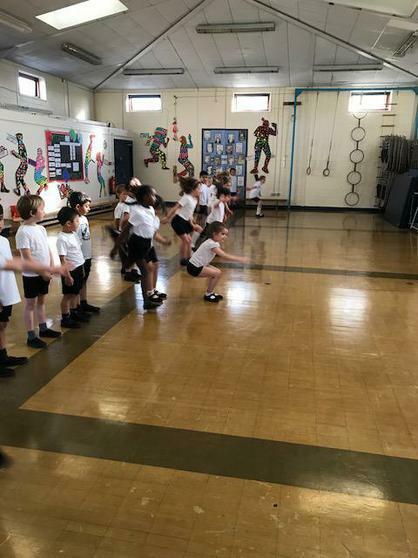 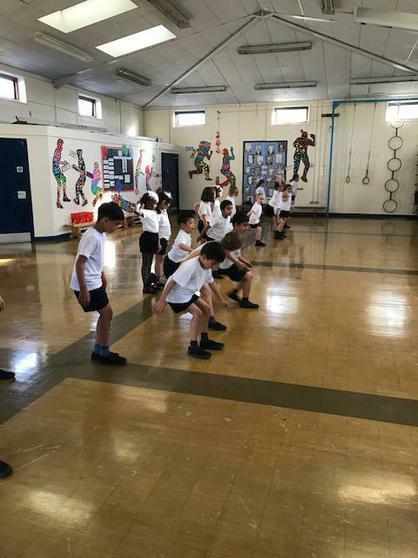 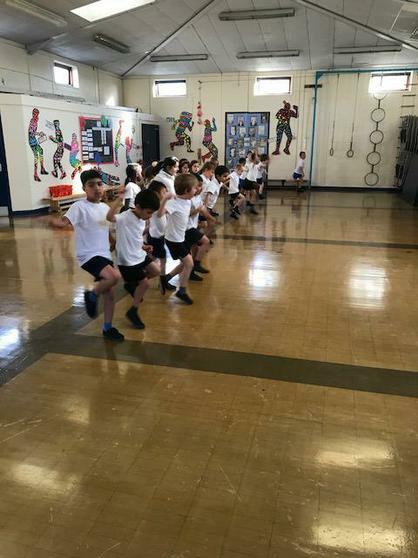 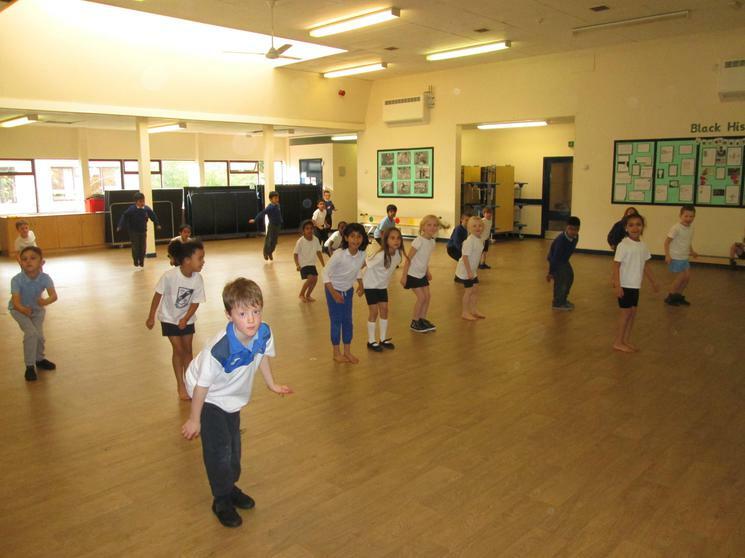 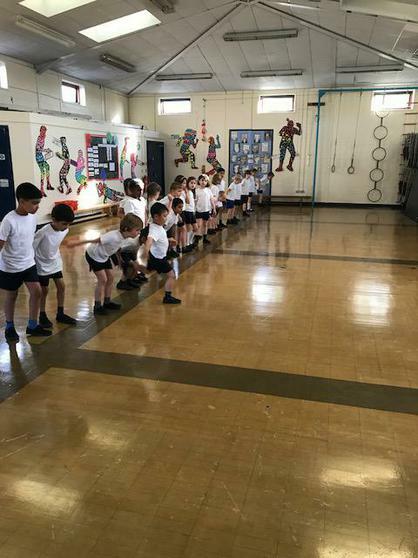 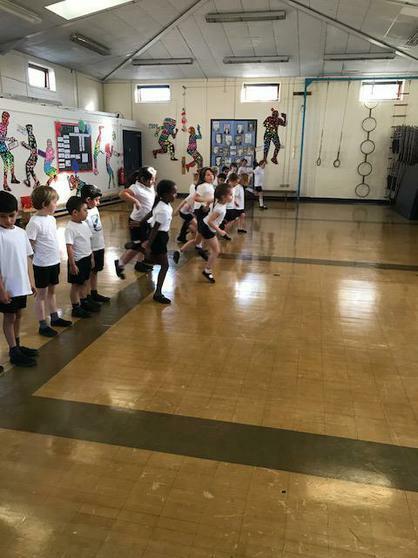 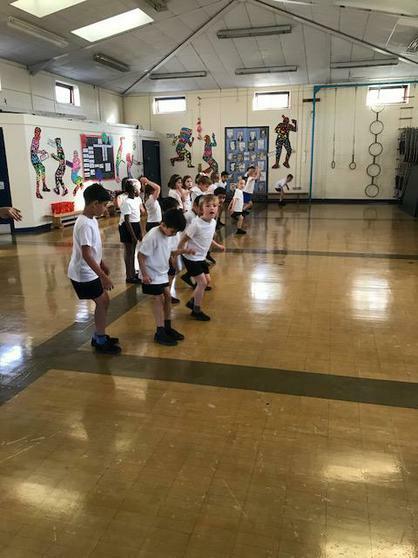 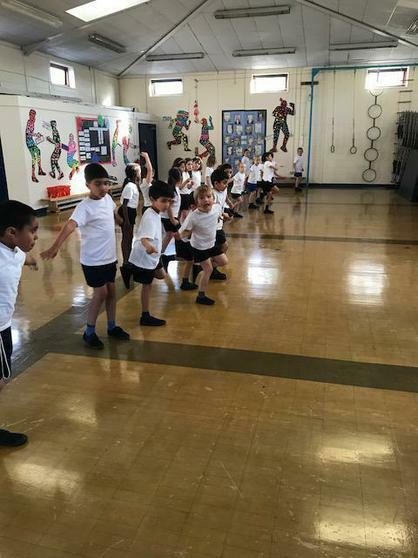 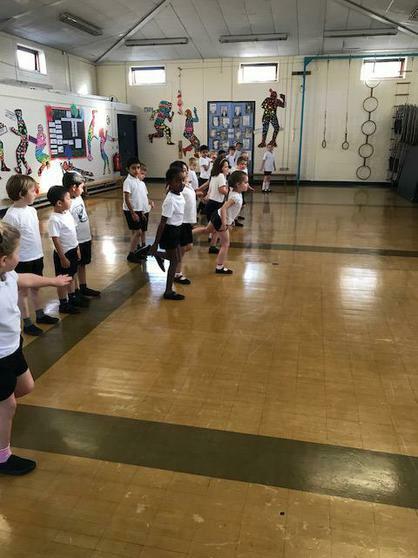 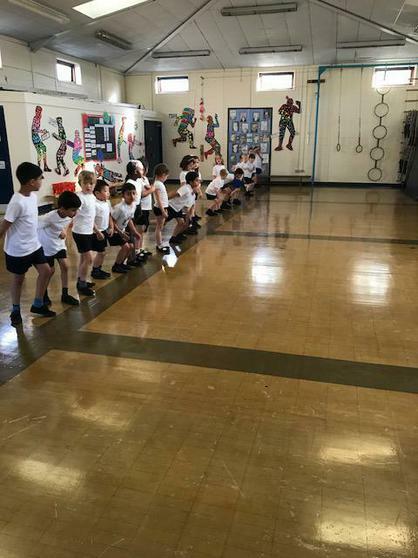 Y2 practising their jumping in PE- 2 feet to 2 feet jumps and 2 feet to 1 feet jumps. 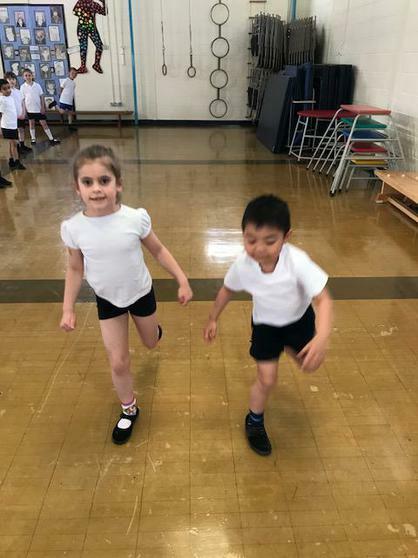 Y2 jumping champions. 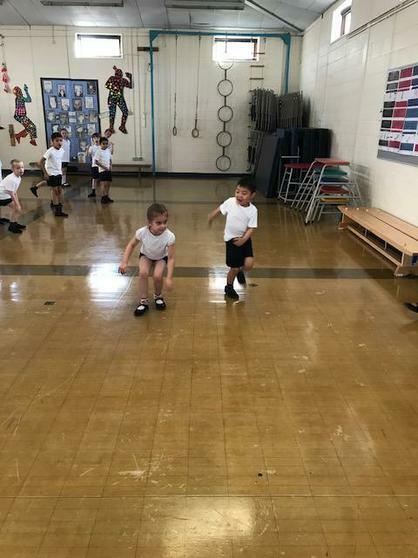 These 2 children jumped further than anyone else. 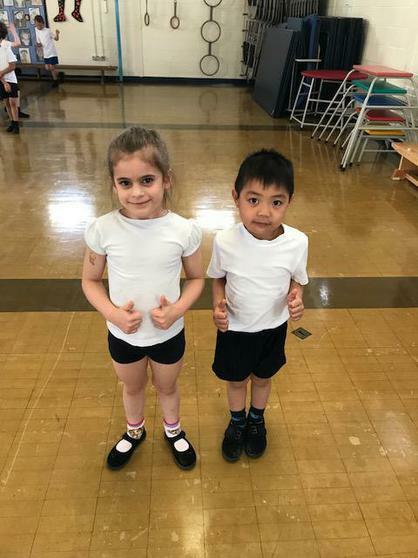 Well done, you two!